The area around your eyes is very sensitive, prone to dryness, and quicker to show age and fatigue. Constant movement of the eyes and lack of proper sleep and increased use of laptops and phones also hasten the appearance of lines and wrinkles, and fluids collect under the eyes and cause puffiness and dark circles. Eye creams can address some of these issues. A very important question that comes to your mind right now is – How to choose the best eye cream. It is very important to start using an eye cream as soon as you start to see the first signs of aging – like lines around your eye area etc.. 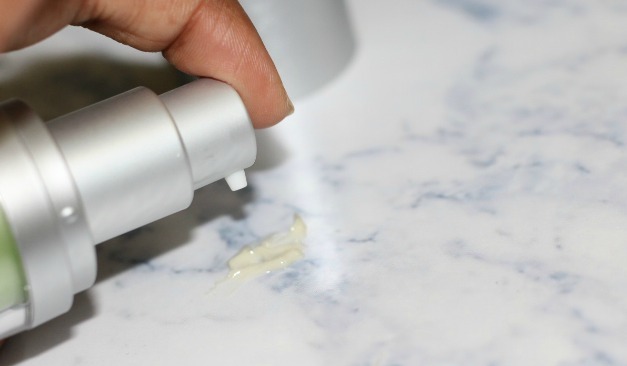 If you are in your late twenties, That’s a right time to start using the anti-aging eye cream. In today’s post I am sharing my review on one of the anti-aging eye cream that I have been using since 1-2 months now. 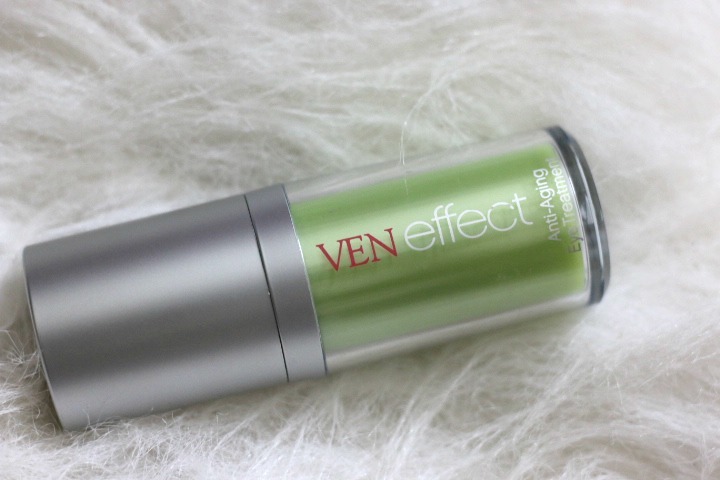 This highly effective eye treatment with the VENeffect advanced phytoestrogen technology helps improve elasticity around the delicate eye area, reducing the appearance of fine lines, crow’s feet and wrinkles for a younger looking, brighter appearance. 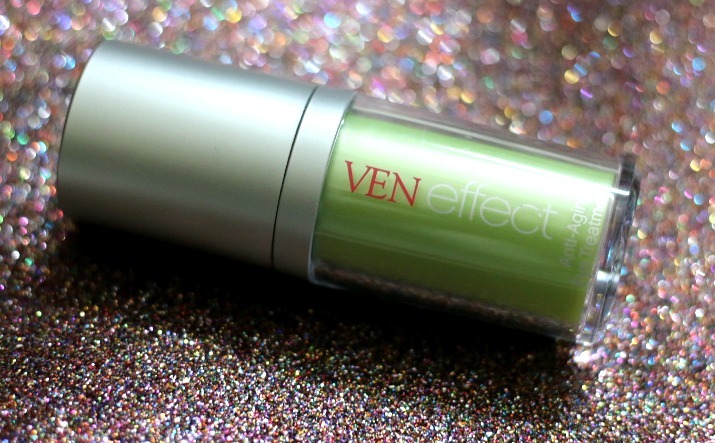 Made in the USA.,VENeffect is developed by sisters, Rebecca Booth, M.D., a nationally recognized gynecologist and hormonal wellness expert, and Cecil Booth, a beauty industry expert; VENeffect focuses on the way women uniquely age, providing targeted solutions to effectively achieve the look of skin at peak hormonal vitality. This innovative, technologically-advanced skin care collection addresses the aging process in a new way through the use of its proprietary phytoestrogen complex: plant-based molecules that are proven to safely and effectively restore collagen, increase elasticity and help reverse and prevent the signs of aging. Comes in a really good quality bottle with a pump dispenser. 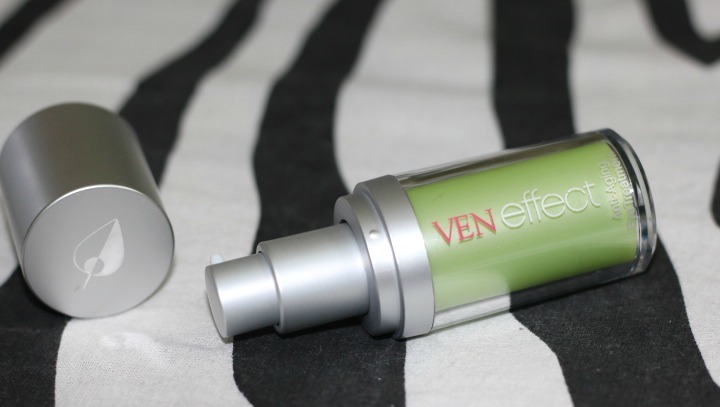 The VENeffect pump-action container limits the amount of product dispensed everytime. You need the tiniest bit for your eyes. 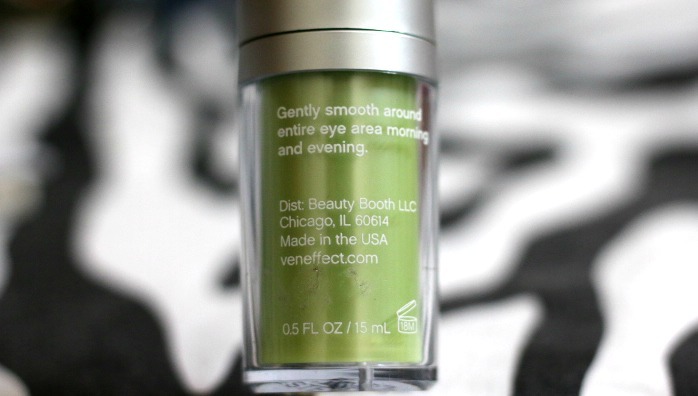 You can apply it morning and evening by gently smoothing around entire eye area. Start by dotting the product along the orbital bone below the eye, and using the ring finger, gently smooth into the skin. Then repeat this on the orbital bone just below the brow. Though this cream can be applied both day and night. I prefer to use it every night. It has a slightly thicker consistency and is unscented. 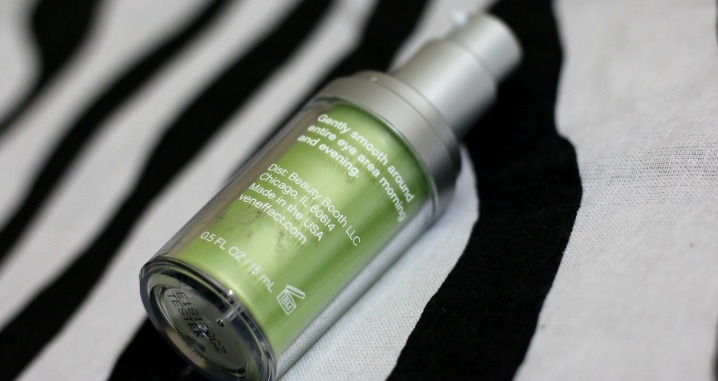 It hydrates the eye area really well. For those who have really dry under eyes, This is a great choice. It reduces puffiness and improves the overall under-eye skin texture. New York Magazine names it a “Best Bet” because it can not only reduce and minimize the signs of aging, but also prevent those signs from occurring. 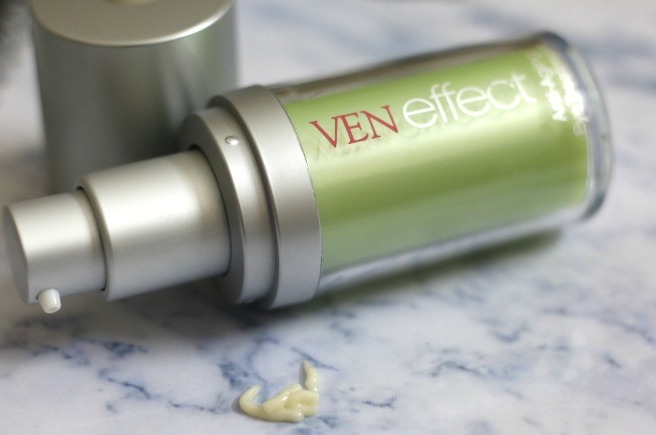 VENeffect Anti-Aging Skin Care is powered with plant-based phytoestrogens to reverse signs of aging and reveal the glow of healthy skin.Not all brands specialize in hormonal skincare and that’s what makes this brand special. Start using this phytoestrogen rich eye cream and you will see the difference it makes. Eye area appear more hydrated, luminous and your overall appearance has a lot of impact from it. You look as if you had a good night’s sleep. you look more awakened. 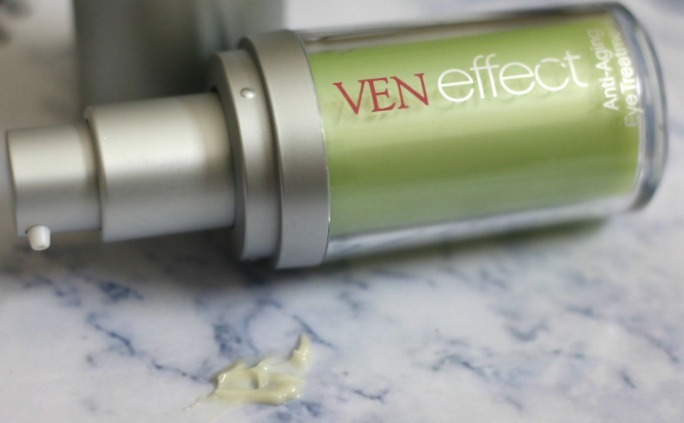 Overall, VENeffect anti-aging eye cream is ideal for these concerns: tired and dull looking skin, Skin, Puffiness, Free Radical Damage, Aging Skin, Dark Circles. Overall, a great product that’s worth it’s price tag. A little goes a long way. Reduces the signs of aging, soothes, brightens, reduces puffiness and provides a more rested, youthful appearance. Ophthalmologist approved, fragrance free, hypoallergenic, non-comedogenic, gluten free, and paraben free. 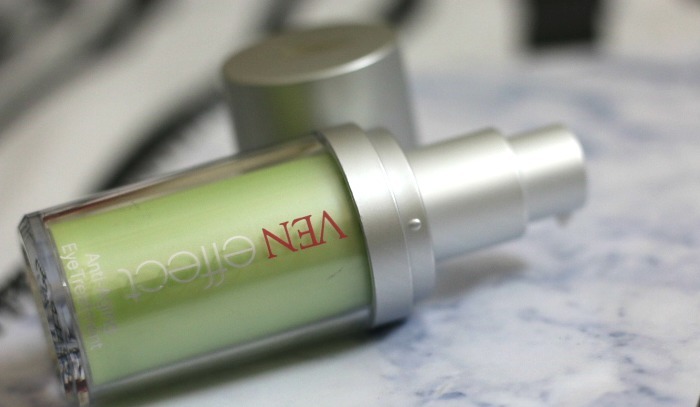 What’s your favorite anti-aging eye cream ?